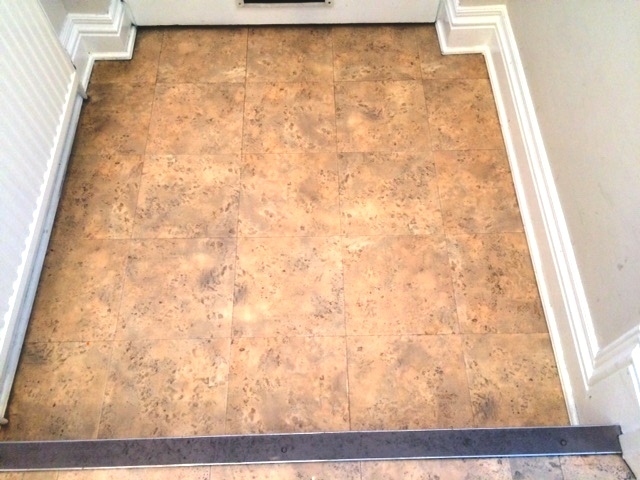 As well as Tile and Stone Tile Doctor also have the ability to restore Amtico and Karndean vinyl flooring such as this Hallway in Manchester owned by none other than Coronation Street actor Philip Middlemiss aka Des Barnes which had become ingrained with dirt and was becoming difficult to clean properly. First I applied a small tester of Tile Doctor Woodstrip, which although very good at stripping wax and polish off wooden flooring is also very good at doing the same on a quality Vinyl flooring such as Amtico and Karndean. I did some initial testing to work out the right dilution ration and settled on five parts water to one part Woodstrip. This was then applied to the larger area and worked in using a tan buffing pad fitted to a rotary machine which is the best pad to use on Vinyl. I should add that you do have to be careful which chemicals and cleaning tools you use on these floors in case Damage is caused. Once I had the floor clean I gave it a thorough rinse with water and removed all the soil and water with a wet vacuum to reveal a new cleaner floor. Mr Middlemiss wanted a Matt finish so we decided not to apply a sealer however I would normally recommend a sealer called WoodSeal which will protect the floor from staining. Mr Middlemiss was really happy with the floor and was kind enough to leave the following message for me. 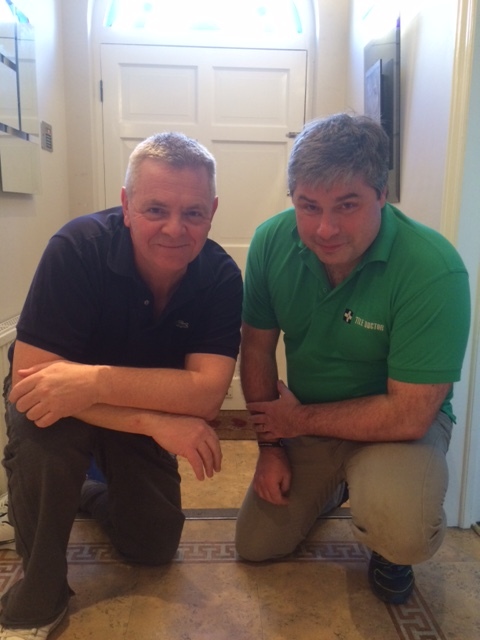 I would like to thank Russell Taylor, the ‘Tile Doctor’, for transforming our hall floor. 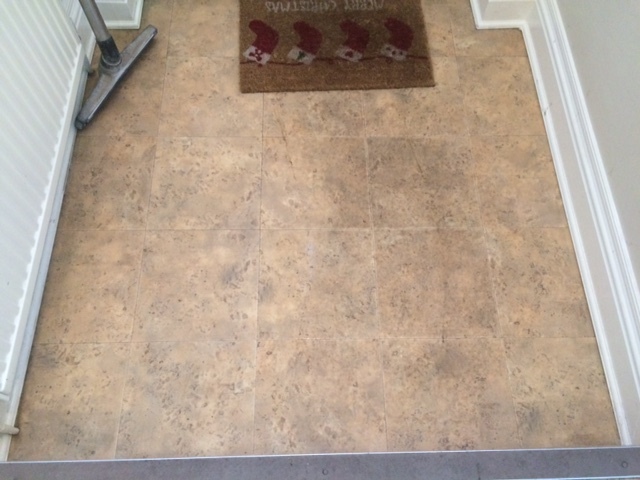 The Karndean flooring we had laid, over the years had accumulated lots of dirt and staining which we have been unable to remove, yet within 2 hours Russell had transformed our floor back to its original state. He was professional, affable and highly efficient, I would highly recommend this service to anyone.